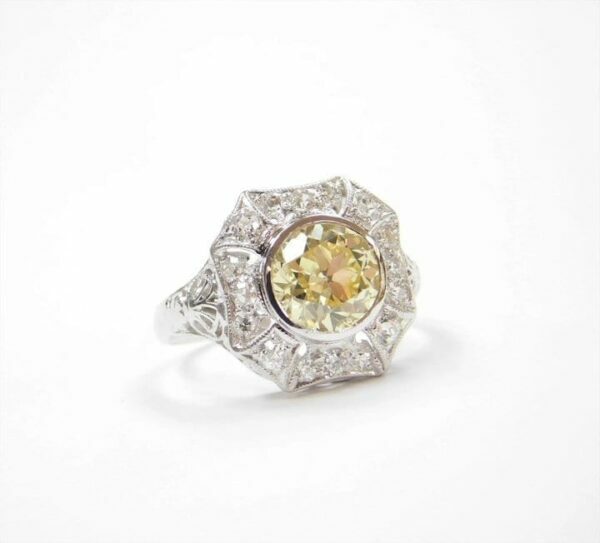 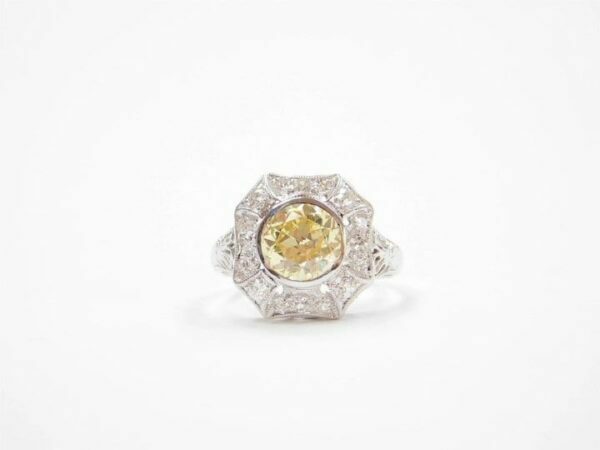 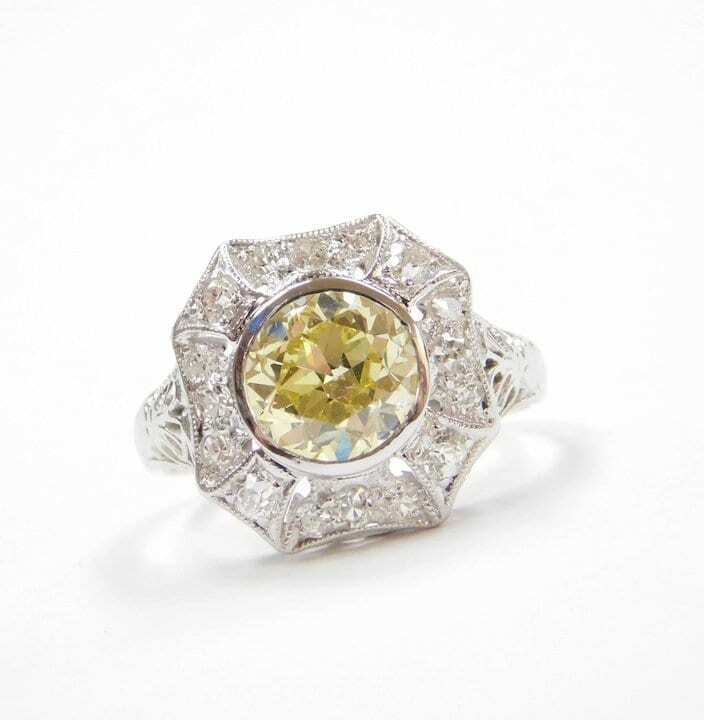 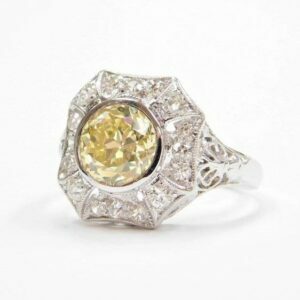 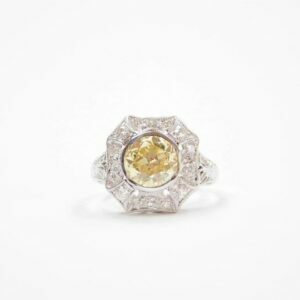 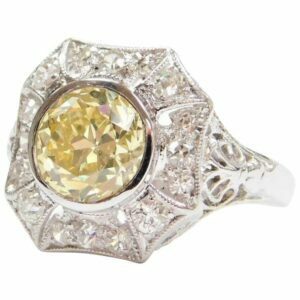 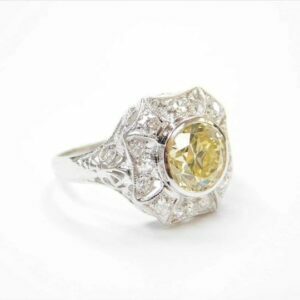 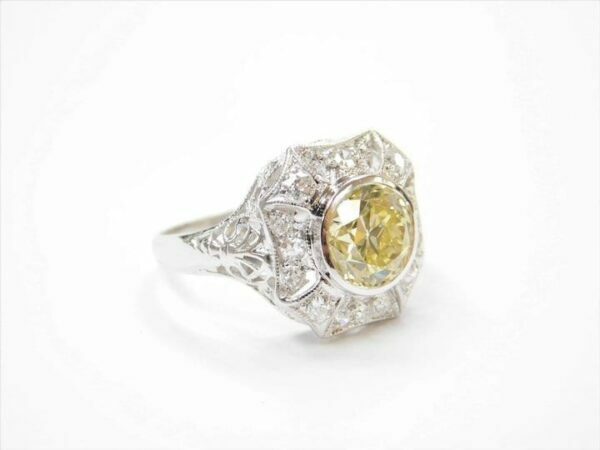 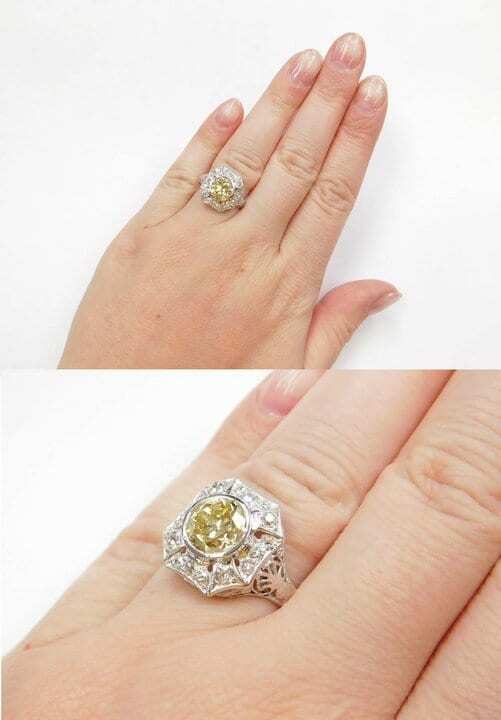 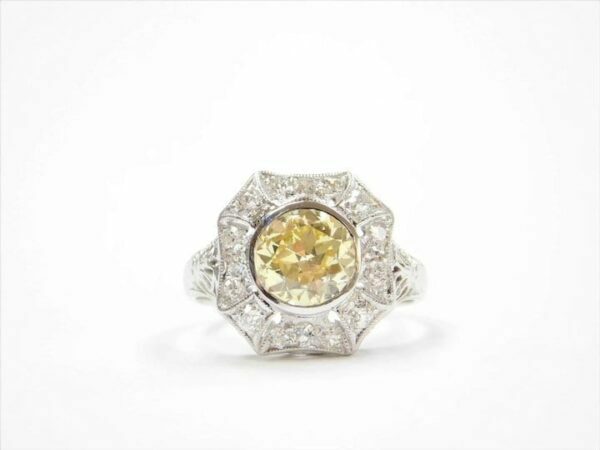 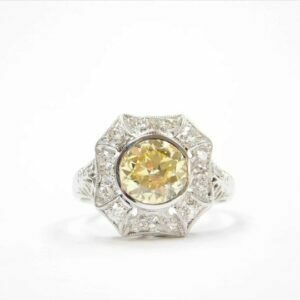 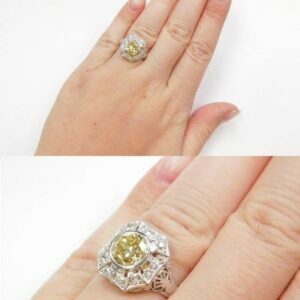 COMMENTS: This superb, sizable and sizzling all original Art Deco engagement ring – circa 1920-30’s – stars a fabulous 1.78 carat Old European Cut NATURAL fancy yellow diamond! 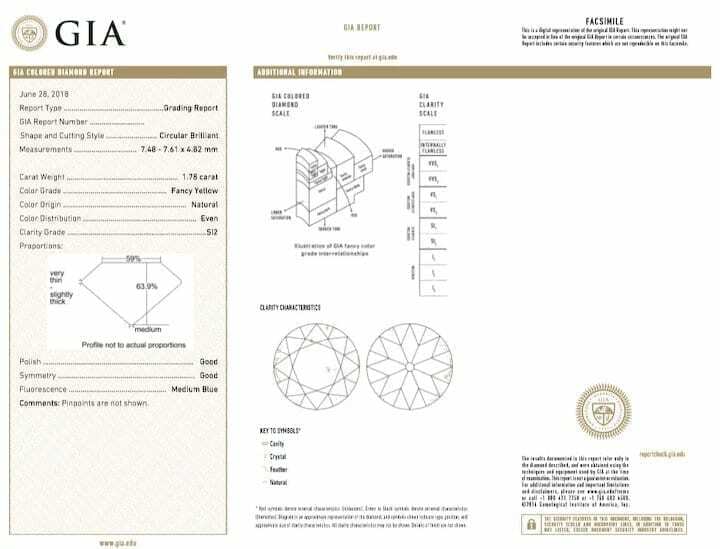 The diamond is accompanied with a GIA certificate verifying its size, clarity and color, (see GIA cert in the pictures). 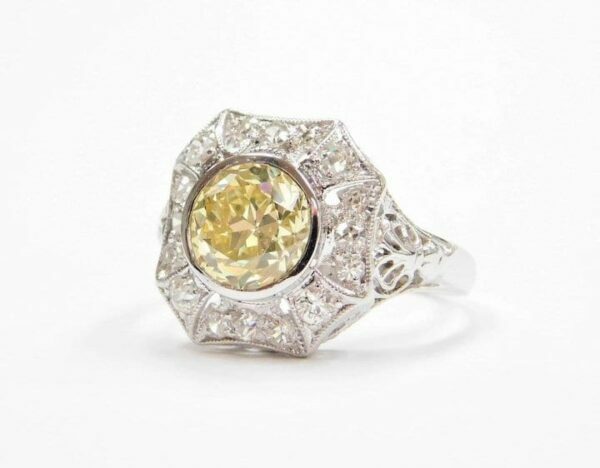 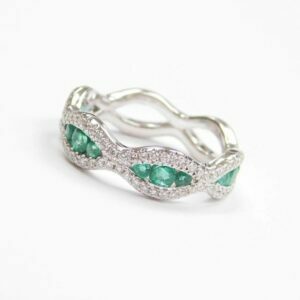 The color is absolutely striking making this one of the best Art Deco rings I have ever seen! The unique diamond blazes from the center of a halo of sparkling white diamonds, bead set, in sections of 18k white gold with milgrain edges. 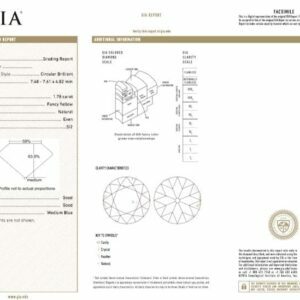 The accent diamonds, as well as center diamond, total 2.08 carats! The undergallery of the ring is adorned with floral accents, exquisitely handcrafted, cutout designs which continue down the shoulders of the ring. This geometric ring is a stunning representation of the Art Deco era. 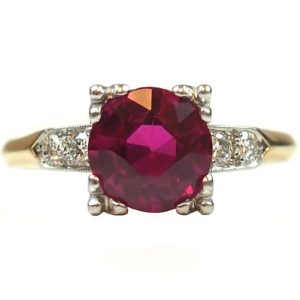 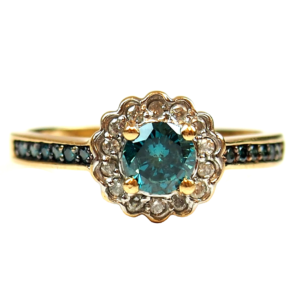 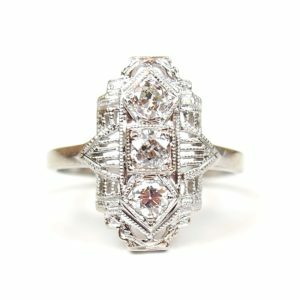 It will make a wonderful engagement ring for the vintage lover in your life! 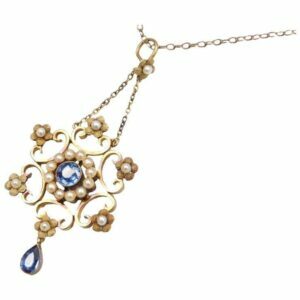 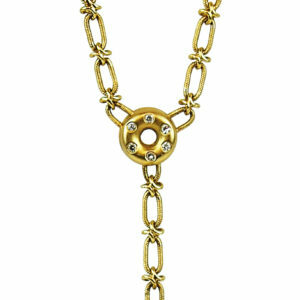 This dynamic and dazzling vintage jewel measures 1/2 inches square. 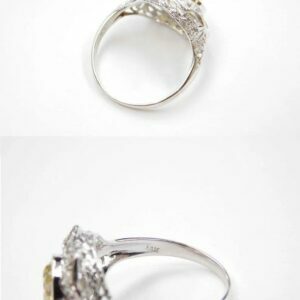 Excellent estate condition with minimal wear indicative of age. 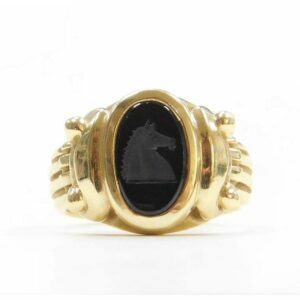 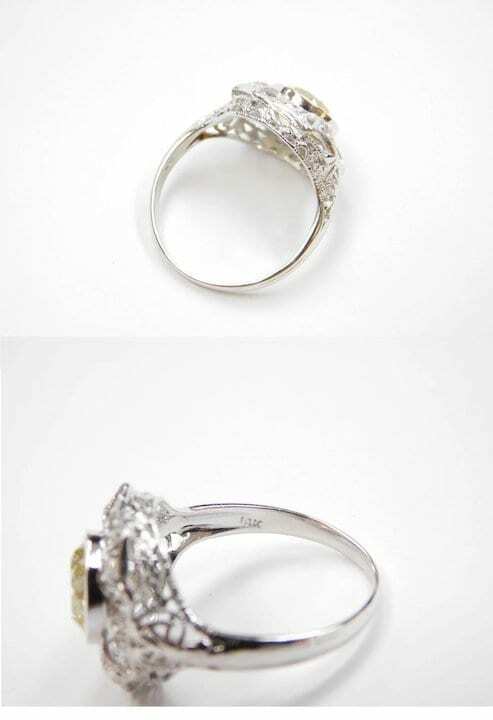 Our jewelers have carefully polished this ring to bring it backs to its original beauty.